For healthy and glowing skin the secret is the usage of Organic products. I am not saying that I use only organic products for my skin care but I try to make sure that I am using less and less chemical based products for my skin. 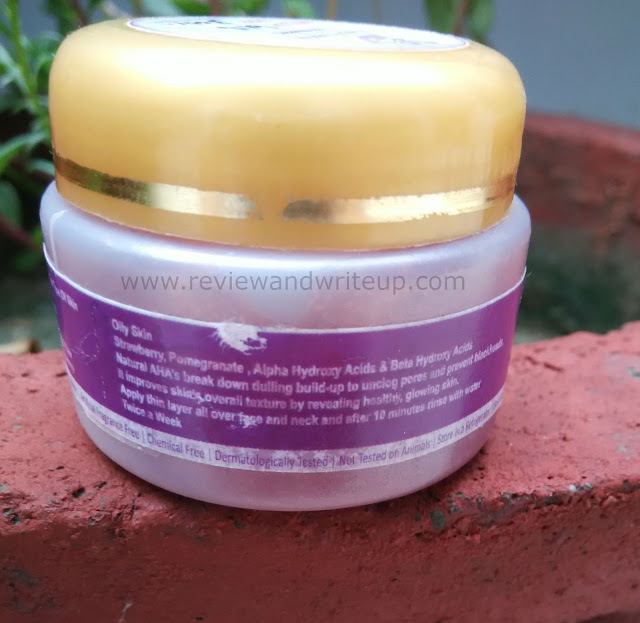 My passion for beauty blogging makes me a wanderer for new brands for skin care. My latest indulgence is Aroma Essentials. I have already reviewed its face wash here. 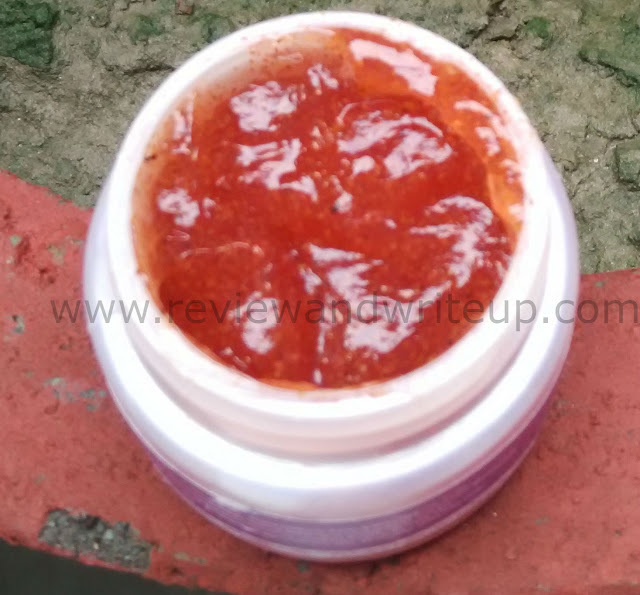 Today I am going to review Aroma Essentials Strawberry Scrub on R&W. 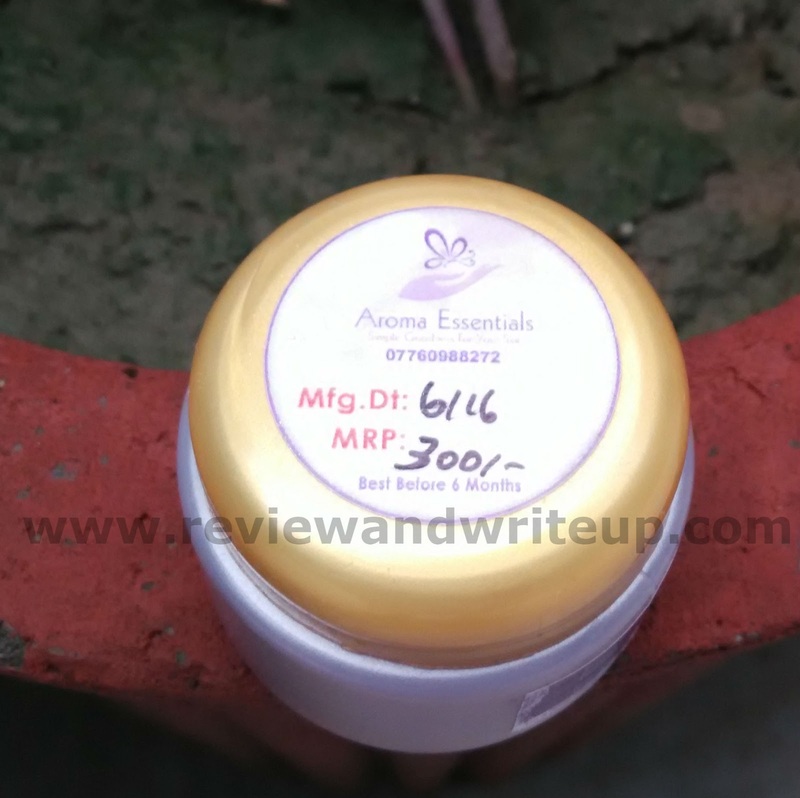 About the brand - Aroma Essentials is an organic Indian brand that makes variety of organic products by using some of the best ingredients available. Their products are authentic and use high quality of raw material. If you wish to check out their page you can click here. Packaging – Aroma EssentialsScrub comes packed in a small plastic jar with golden yellow screw lid. There is a stopper lid once you unscrew main cap to give further shield to the scrub. I am quite satisfied with the packaging. Ingredients – This scrub is made of pomegranate, strawberry, alpha hydroxy acids and beta hydroxy acids. 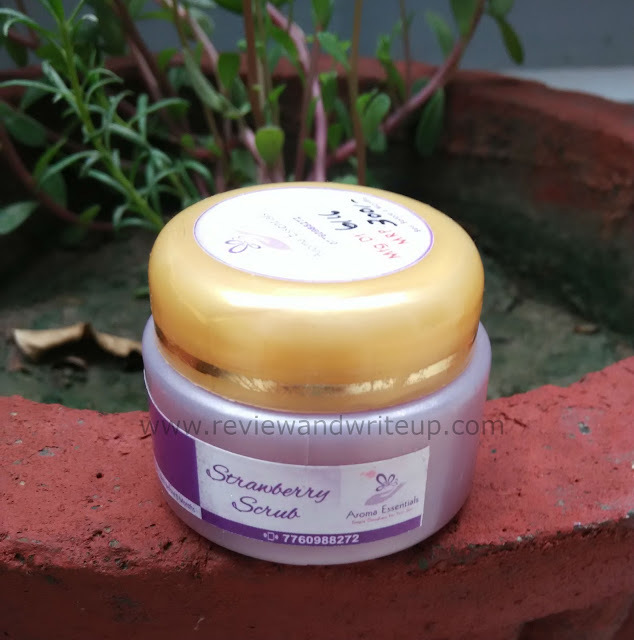 My experience – Aroma Essentials Strawberry scrub has a strong fruity fragrance that of strawberry. As it smelled so good I felt like eating it (well I didn’t off course). The way to use this scrub is different as prescribed by brand. You have to apply a thin layer all over face and neck and then you can wash away after ten minutes. I felt this way was different but it really worked. It was effective in cleansing my skin really well. This scrub is especially designed for oily skin people. I also tried using it as a normal scrub. I took little and massaged gently in circular motions on my skin and it gave good results after that. The richness of natural ingredients like pomegranate and strawberry were effective in unclogging pores. Oily skin suffers acne due to clogging of pores. It is important to use such products that can unclog skin pores. Sometimes I used a face pack after using this scrub and sometimes I just used it alone. Either way it made my skin happy, glowing and bright. I haven’t faced any irritation or any issues with this scrub. The texture of this scrub is sticky which one thing I didn’t like much about it is. Due to its sticky nature once jar is open it is difficult to carry in travel bag. This stickiness can ruin your other products. So yeah this is not travel friendly. Since this is an organic product it is priced at Rs. 300 which is decent as generally organic products are priced in this range. Also this product has expensive ingredients in it so it’s worth it. I believe in keeping mix of all kinds of skin care products. This scrub gives you an option to try out different ingredients for your skin which will give good results. Let me know about your experience once you try this out. Sounds like a really nice scrub.